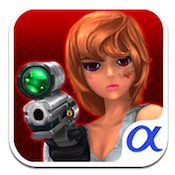 Zombie Master iPhone Game Review: Best Zombie Game of 2013? 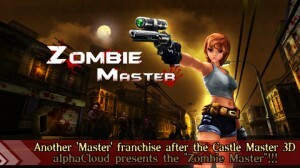 Zombie Master is an iPhone game developed by alphaCloud, Inc. Described as a blend of “StarCraft and Gears of War” by the developers, your goal is to help retake the city from a zombie horde, sector by sector. These zombies are fast and smart, and they can do some serious damage. You play as an attractive heroine who looks like a cross between Lara Croft from “Tomb Raider” and Jill Valentine from “Resident Evil.” While she is lovely to look at, there are some ugly aspects to this game. For example, the ads are a bit annoying. Additionally, some of the in-game text is a little hard to grasp. It verges on “all your base are belong to us” territory at times. 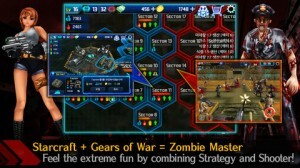 However, the controls for both the strategy and action portions of the game are well-calibrated and easy to master. Responsive controls are a must when fighting hordes of zombies, and the controls here are impossible to fault. 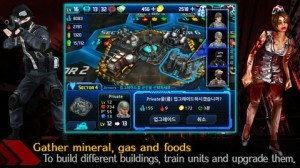 There’s a really excellent blend of strategy gaming and on-the-ground action that keeps the game fresh and engaging. You’ll spend just as much time building mines and refineries in your captured sectors as you will running on the ground with a team of soldier to clear zombies out, sector by sector. The action-based missions are also surprisingly varied. True, some times you will just be endlessly shooting up your enemies. But other times, you’ll be riding in a helo, or leading a mission to save a band of survivors. 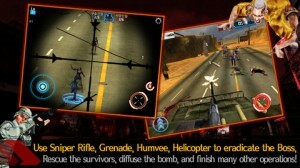 Zombie Master may have been released in December of 2012, but it is poised to become the best zombie game on iOS in 2013. There are some minor text issues, and the story could be a bit more fleshed out in places. However, the overall gameplay experience is varied, exciting, challenging, and just plain fun. I can’t believe a game that’s this new and this good is free, and I can’t wait to try out the other games that alphaCloud has developed. Zombie Masteris compatible with iPhone 3GS, iPhone 4, iPhone 4S, iPhone 5, iPod touch (3rd generation), iPod touch (4th generation), iPod touch (5th generation) and iPad. Requires iOS 4.2 or later. This app is optimized for iPhone 5.